Media descriptions of three “factions” in Chinese politics are actually not very helpful. Apparently, factionalism is a real issue in Chinese politics. The top leadership takes it so seriously that it held a Politburo meeting on December 29, 2014 on combating factionalism within the Chinese Communist Party. However, there are also widespread misperceptions of factionalism in Chinese politics. First, there is confusion between corporate groups and political factions. Corporate groups are those whose members have worked in the same organization and political factions are those whose members have clientelist ties based on mutual benefits. It is popularly believed that there is a “Petroleum Clique” in China. This is because a number of former high-ranking officials (such as Jiang Jiemin and Wang Yongchun) associated with Zhou Yongkang have been sacked along with their former boss. But it is not clear whether all senior officials who have worked or are currently still working in the petroleum sector belong to the same faction or only some of them. It is not very useful to identify only those who have been sacked along with Zhou Yongkang as members of the Petroleum Clique. Nor is it useful to classify all senior officials who have worked in the sector as members of the Petroleum Clique. Second, there is confusion between a location and a political faction. 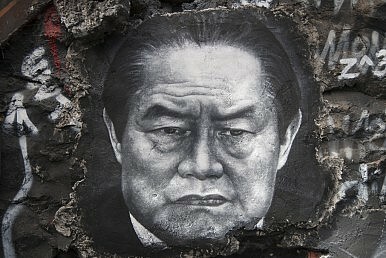 It is widely believed that there is a “Sichuan Clique” simply because Zhou Yongkang worked as party secretary of Sichuan from 1999 to 2002 and several of his former subordinates in the province such as Li Chuncheng, Guo Yongxiang, and Li Chongxi have been purged due to their connections with Zhou. The problem with this label is that it is not easy to distinguish between those closely associated with Zhou and many others who have worked or are currently working as senior officials of the province. Third, there is confusion between a category of people and a political faction. In Chinese politics, personal secretaries (mishu) of top leaders are usually considered belonging to a political faction, known as the “Mishu Gang.” The fact that several of Zhou Yongkang’s personal secretaries such as Guo Yongxiang and Ji Wenlin have been investigated because of their association with Zhou seems to have provided evidence to support such a claim. However, the personal secretaries of different leaders hardly work with each other. They belong to the same categories of people but not necessarily to the same faction. In an ordinary sense, political factions are supposed to be competitors with each other. But the three main factions identified by the media are not competitors but actually people associated with one ex-Politburo Standing Committee member who has been disgraced. These identifications are politically correct but these perceptions are not very useful in analyzing the dynamics of Chinese politics.